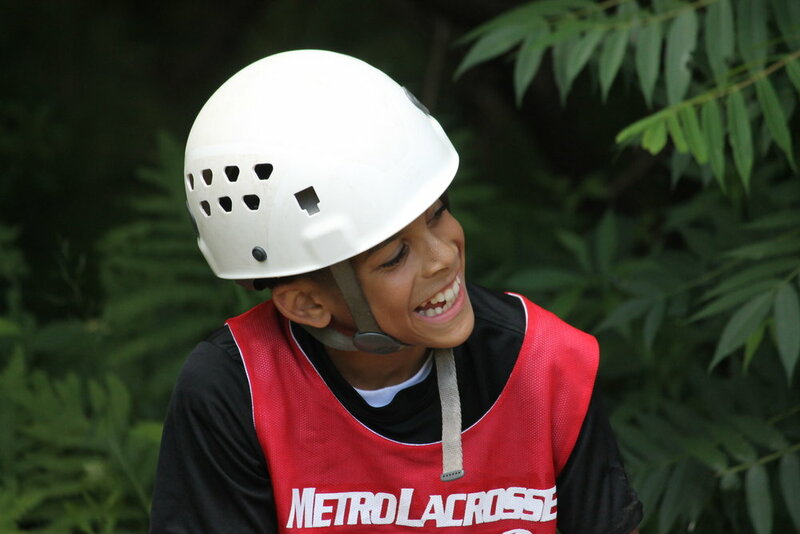 Metro Lacrosse Summer Bounce Camp was a nice experience. We did all sorts of things like sleep in boarding school dorms, play lacrosse, and have team building with teammates and coaches. When we had team building time inside the dorms, we usually played games like hide and seek. Everything at camp was on time and we couldn’t be late to anything. We always had to be at practices on time. We had to make it to wrap, which was basically the part of the day where we talk about how the day went. During wrap, we made a cheer for our specific team. We did it every night until the last day when we had a final wrap. The food there was good considering we went vegetarian for the whole week. They did that so all players can be energized and healthy. We had three times to eat, we ate breakfast at 6:00, lunch at 12:00, and dinner at 5:00. After dinner we had one final session for lacrosse. We played three times a day, which made you tired but it was still fun. We had one session every single time and after each of the times we ate for two hours. We used the equipment that Coach Leventhal gave us and any equipment that was missing they provided us with it. There were days that the coaches gave us a choice to play a different sport activity like basketball, dodgeball, mini lacrosse, or kickball, so it was basically free time. There was this day when we played dodgeball with tennis balls and lacrosse sticks and the game was coaches vs campers. After the last lacrosse session we had wrap. It was mostly the same every time but we had to make a different chant or act for our specific team. Our team was called the Red Bulls. We had a nice team and we all got along. We had some stuff in common but the best thing was we always had each others backs. We built a bond with each other that stuck with us for the rest of camp. On rainy days, the coaches still found time for us to play. They either took us to the gym or the ice-skating rink, where we still played lacrosse. But once again, Summer Bounce Camp was a nice opportunity to experience the sport of lacrosse with a lot of great activities. At the end, we had a championship game between each team and the team that won got to leave camp feeling good about themselves. Finally, there was an award ceremony and we got trophies and medals! I would like to thank Coach Leventhal for sending me to camp, it was fun! I encourage kids to play lacrosse, it can give you unreal opportunities while also having fun.